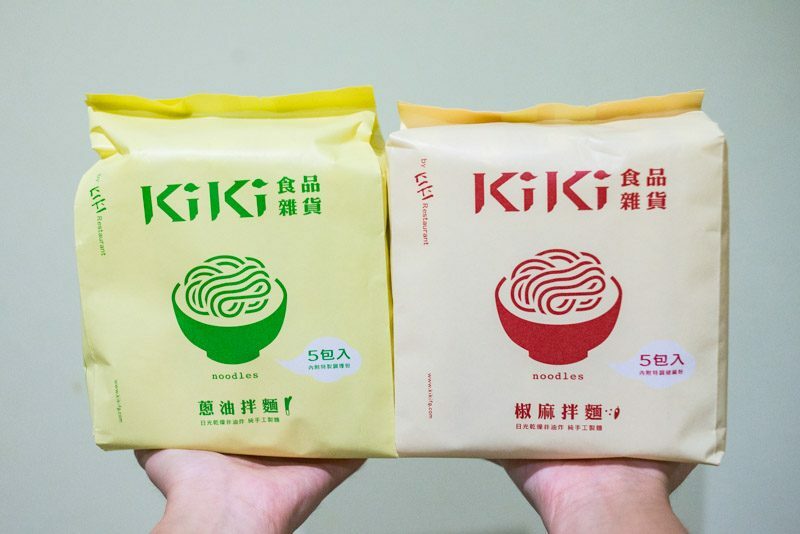 KiKi Noodles: This Brand Of Taiwanese Instant Noodles Is Now Available In Singapore, But Is It Worth The Price? 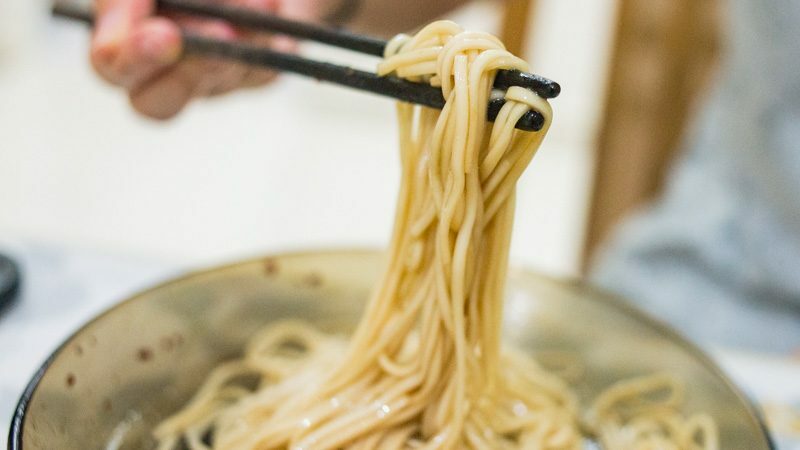 Have you heard of Taiwanese KiKi Noodles? 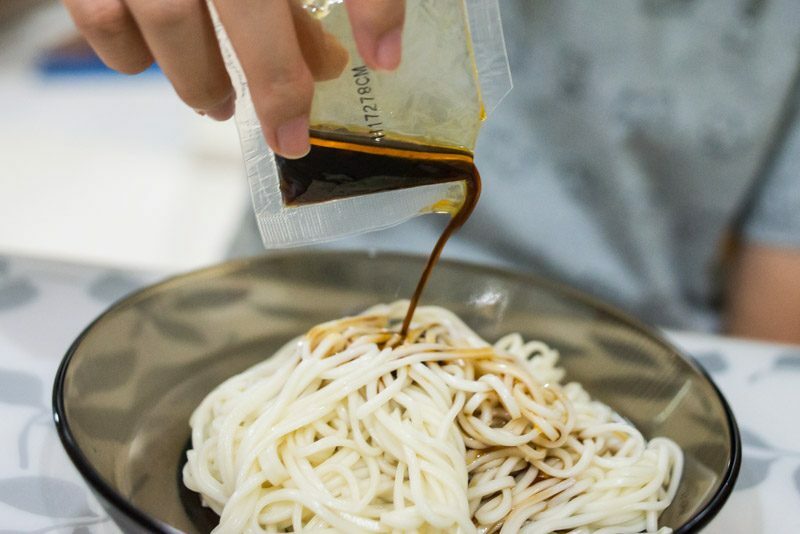 It’s the latest instant noodle obsession (there always seems to be one), and it’s finally here in Singapore stores. 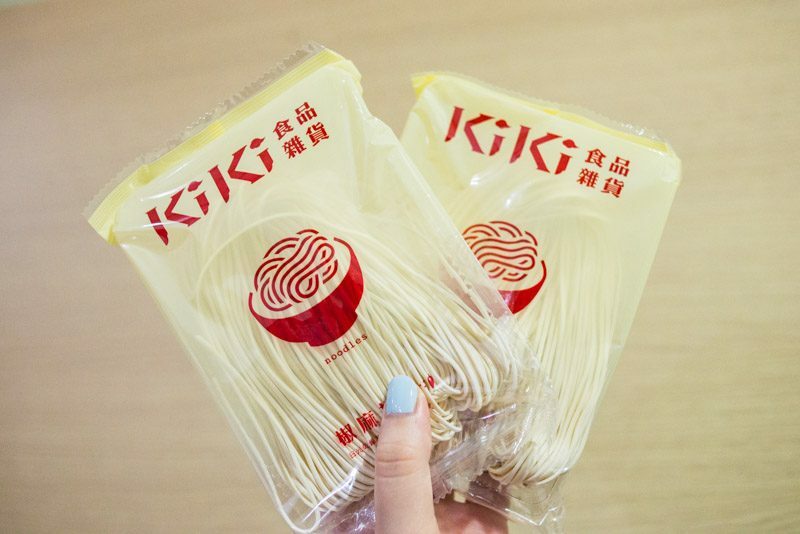 These noodles retail at $13.70 for a pack of five, and they come in two flavours: Aromatic Scallion and Szechuan Pepper. They are currently only available in three selected Buzz outlets, which include Marina Bay Link Mall, Sim Lim Square and Block 5, Upper Boon Keng Road. Yes I know, $13.70 for instant noodles sounds ridiculous, and I fully agree. But before I could pass any proper judgment on these crazily expensive instant noodles, I had to give them a try. Hey, a fair trial is always needed. So, I bought a pack of each flavour, and I watched with genuine pain as my $27.40 flew away, just like that. 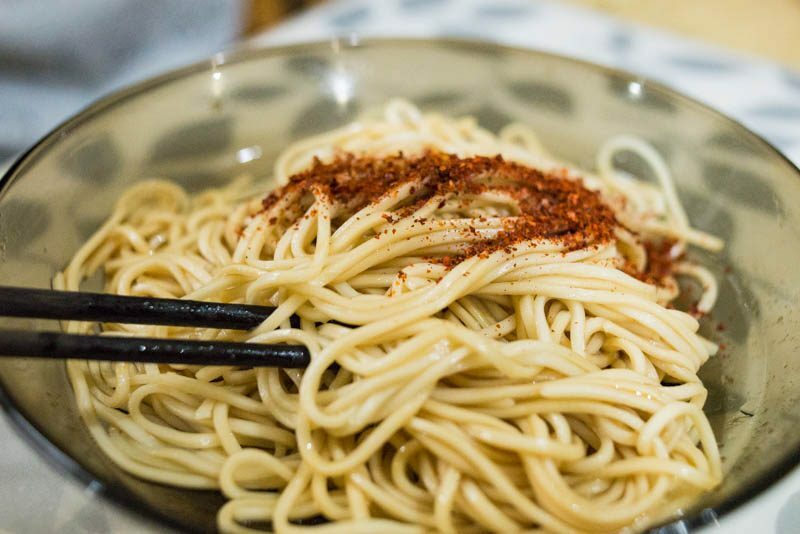 I was more excited to taste the Szechuan Pepper flavour, because I love spicy food and thought it’d be more interesting than you know, spring onion–flavoured noodles. So I went ahead and cooked that first. The cooking process is very simple – basically, the usual instant noodle preparation. 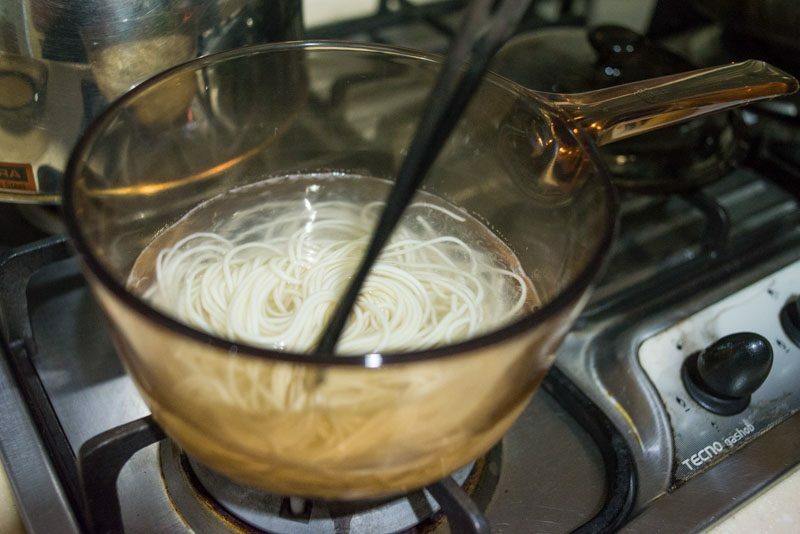 Boil some water, dump the noodles in and wait about four minutes for it to cook. After I was done cooking the noodles, I mixed in the sauce. The Szechuan Pepper flavour comes with one packet of sauce mixed with some chilli oil, as well as a packet of what I assumed was Szechuan Pepper flakes. You must forgive me, the ingredients and nutrition information on the packet are all written in traditional Chinese letters (it’s from Taiwan), which is basically Greek to me. Anyway, the first thing I noticed was that the sauce was extremely fragrant. I could literally smell the spice. And true enough, it was pretty potent. But it wasn’t all just spice; there was a sharp flavour that seemed nice at first, but became cloying after a few bites. While I wasn’t too thrilled about the flavour, I must say that the noodles were of excellent quality and texture. 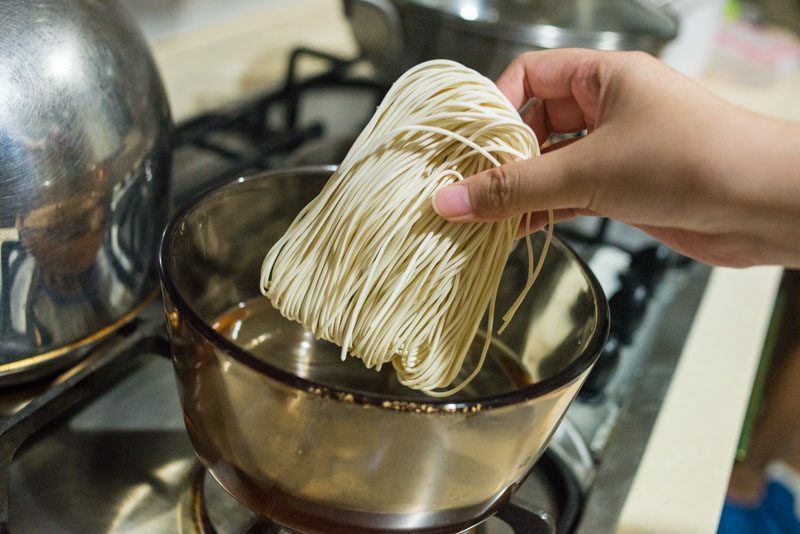 They resembled Chinese lamian (hand-pulled noodles), and were incredibly smooth and springy. Delicious! Unfortunately, the portion size was rather small and insufficient to fill me up. So I decided to cook another packet. This time, it was the Aromatic Scallion flavour. I wasn’t too excited about this, because I’d thought it would taste plain. But I was proven wrong – the Aromatic Scallion was certainly aromatic and wonderfully flavourful. There was also a hint of sesame oil, which added another layer of fragrance to the noodles. 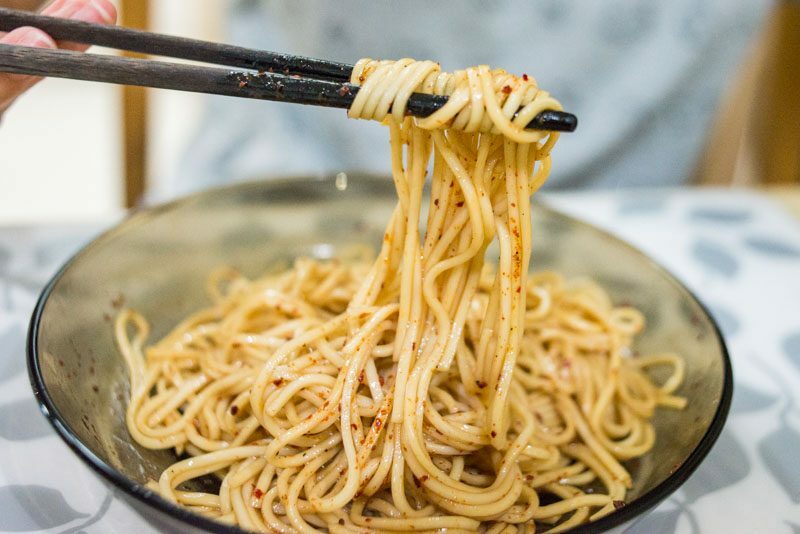 This was much more palatable than the Szechuan Pepper, so if you’re thinking of getting these KiKi noodles, definitely go for the Aromatic Scallion. I guess for the quality of the noodles, the price is understandable. It’s the kind of thing that, if easily available, I wouldn’t mind buying. Otherwise, Nissin will do me just fine. If you’re near one of the three Buzz outlets, try it for yourself!